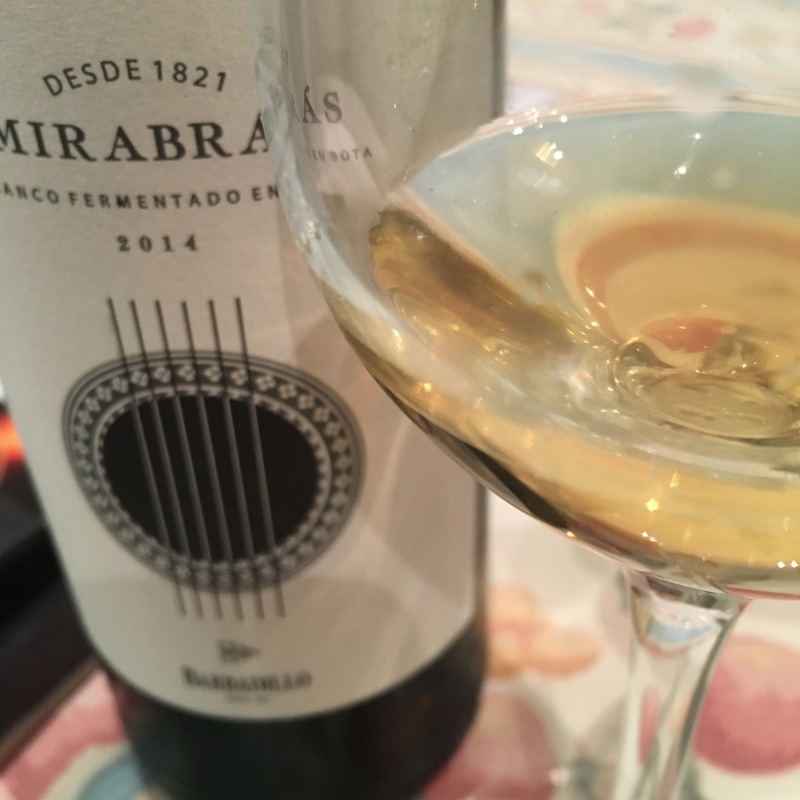 I first tried this a while ago but fleetingly and, although a palomino purchasing moratorium is currently in place, I couldn’t resist picking up a bottle this week in Reserva y Cata. Small production – just 2000 bottles, from a single vintage of a named vineyard (Cerro de Leyes) – which the web describes as home to the oldest vines on the Santa Lucia pago. The grapes were left to dry in the sun a little, then the wine was fermented in an old sherry bota, was a few months on its lees, a few months in bota and then in inox. It is a rich gold colour and on the nose has the distinctive sweet herb aromas of palomino. Then on the palate there is no mistaking where this comes from. It has nice acidity the sweetish fruit of the palomino but then there is zingy salinity and celery-like spices, salt and pepper. A real chip off the Solear en rama block. Really distinctive and very tasty.